Apostles | ADULT CATECHESIS & CHRISTIAN RELIGIOUS LITERACY IN THE ROMAN CATHOLIC TRADITION: hosting ONLY True Christians!! !, or "How to think Catholic!!" 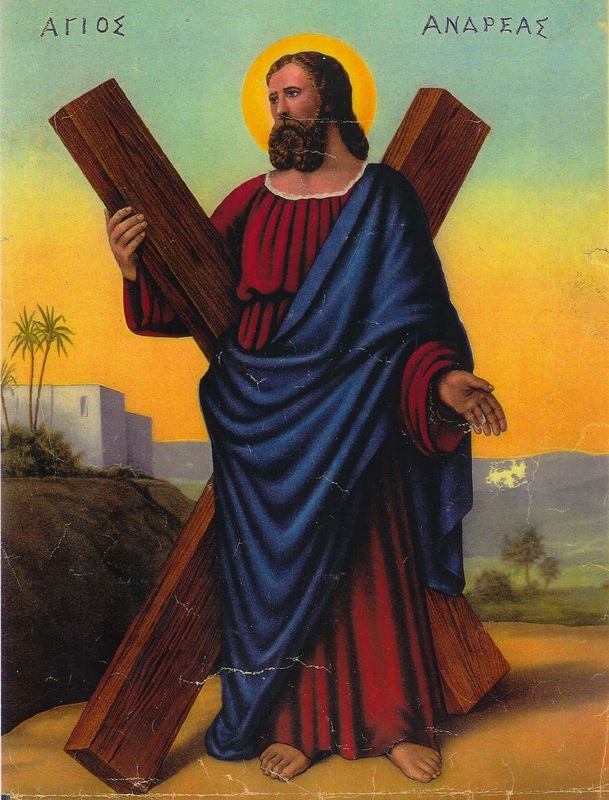 Commenting on St. Andrew, St. Thomas gives us 5 tips on how to viriliter agite. “We all want to be first. From our earliest days, we jockey for the prize. Mom’s affection, a gold trophy, bragging rights: you name it, we want it first. Rivalry courses through our veins, and it boils when heated by blood line. 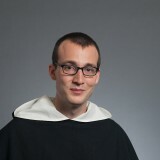 Saint Thomas says we’re more likely to envy those nearest to us in relation and talent. Playing superstar Lebron James in one-on-one basketball would be a peaceful honor, but playing my brother is an existential threat. The familiar game between us was warlike, and our broken bodies bear witness to the repeated battles for first place. The “Protokletos” [protoclete] or “the first called” of the apostles, St. Andrew, did not elbow his brother out of a prize. He hunted him down to share the good news. Aquinas states that Andrew did this so that Peter and he “might be related in both blood and faith.” Though Andrew was first called, he would not be first among equals. Peter became the pope, and Andrew witnessed his own blood receive the keys to heaven. Considering Andrew was first a disciple of John the Baptist, it is possible that the prophet’s words sank into his heart: “He must increase; I must decrease” (Jn 3:30). Thankfully, Andrew did not mistake God’s favor to his brother as an existential threat. He lived by the words of Christ, “The first shall be last and the last shall be first” (Mt 20:16). 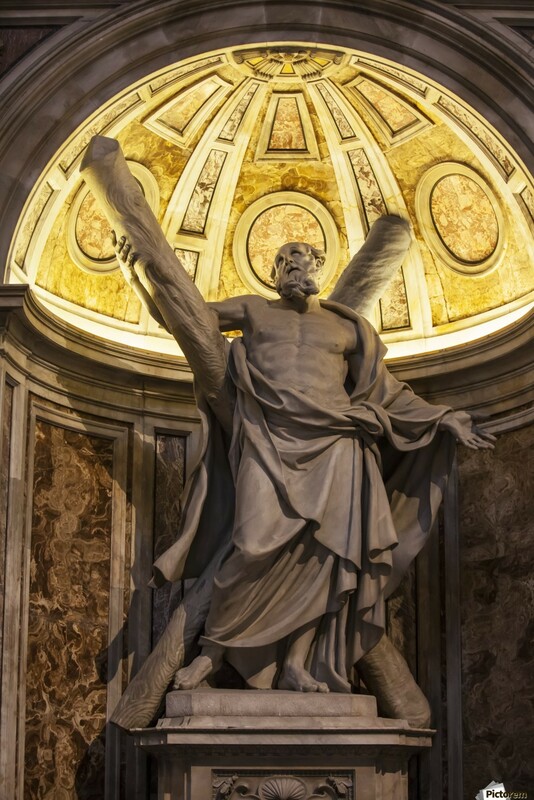 This feast of St. Andrew poses a paradoxical meditation for us. The first-called apostle is celebrated as the last apostolic feast of the liturgical calendar. The Church’s liturgy enters into a new year and new season in which we prepare ourselves for both Christ’s first coming in Bethlehem and his final coming at the Last Judgment. As the light of day wanes evermore, giving rise to the lengthening of night, the season of winter harkens the final days of life. It is precisely in the face of the end that the Church celebrates something new. The Christ Child, the light of the world, comes at the darkest time. We want to be first, but this won’t happen unless we also wish to be last. Andrew is an exemplary model of Christ’s words, “If anyone wishes to be first, he shall be the last of all and the servant of all” (Mk 9:35). In these last days of November, meditate upon the call to be like Jesus who did not grasp at divinity like Adam and Eve in the garden. He took the form of a servant, humbling himself, and becoming obedient to death on a cross (Phil 2:6–8).